Together for a better future we raised no less than 3,087,340 Swedish kronor! For The Perfect World Foundation gala “Save the Ocean” 2017 I had sculpted an almost four meter high sculpture from plastic waste from the ocean. I had also sculptured a collection of recycled bags sold before the gala. 100% of the money for these went to The Perfect World Foundation. I also sculpted a painting that was auctioned out during the evening. To my help in the creation, I had Sarah The Duchess of York and beneficiary Dr Sylvia Earle. This painting (“Dancing in the Street 1” (134 x 127 cm) is a donation from the artist Charlotte Olsson to the charity organization Project Playground. 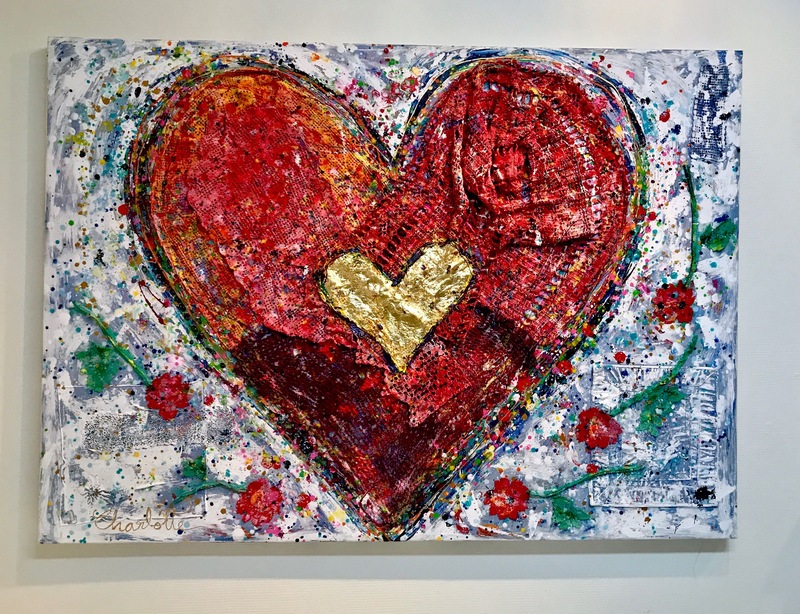 Charlotte has created a heart of recycled craft on a background of corrugated metal (with bullet holes) from Langa, South Africa. 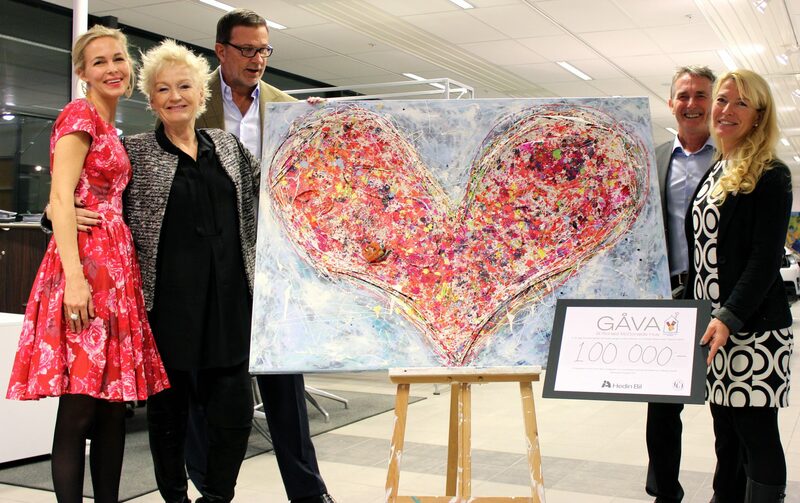 She was inspired by the recycled materials and wants to convey the classic but oh so Important message: “You Can Have A tough face, but it’s The Inside That counts” We can proudly announce that it raised 105,000 sek 20/3 2015 to the organization! 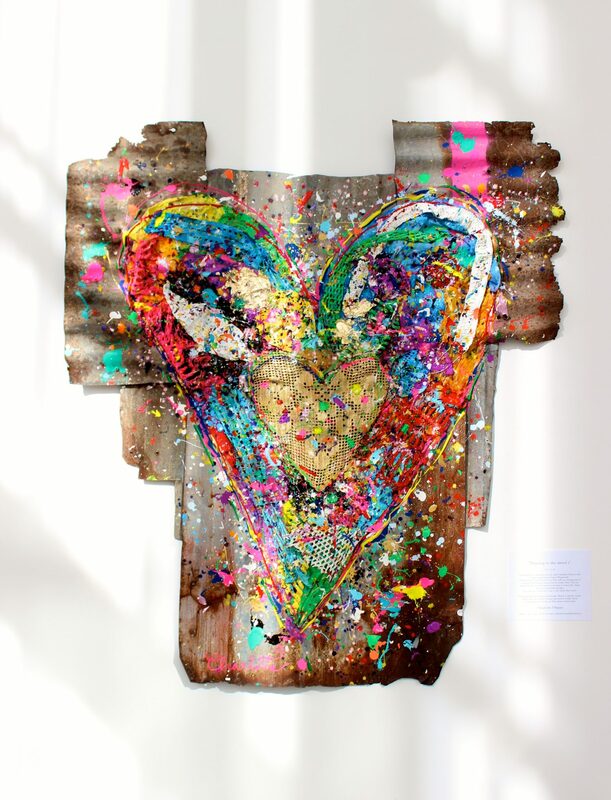 This is the painting “Heart of parts” that I created from old car parts from Hedin Bil’s container. 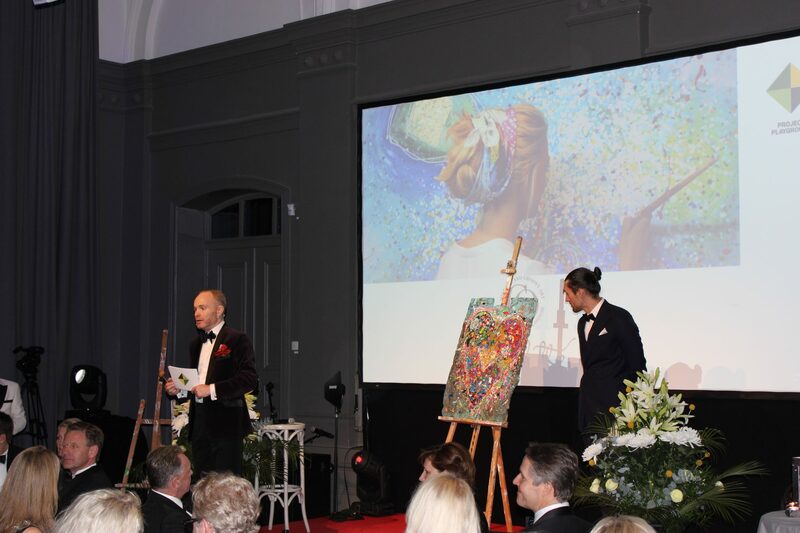 It was auctioned 16/10 2014 for the benefit of Ronald McDonald House Gothenburg. It was an exciting auction that ended at 100,000 sek. I would love to do more similar projects. It’s important for me to contribute as much as I can! 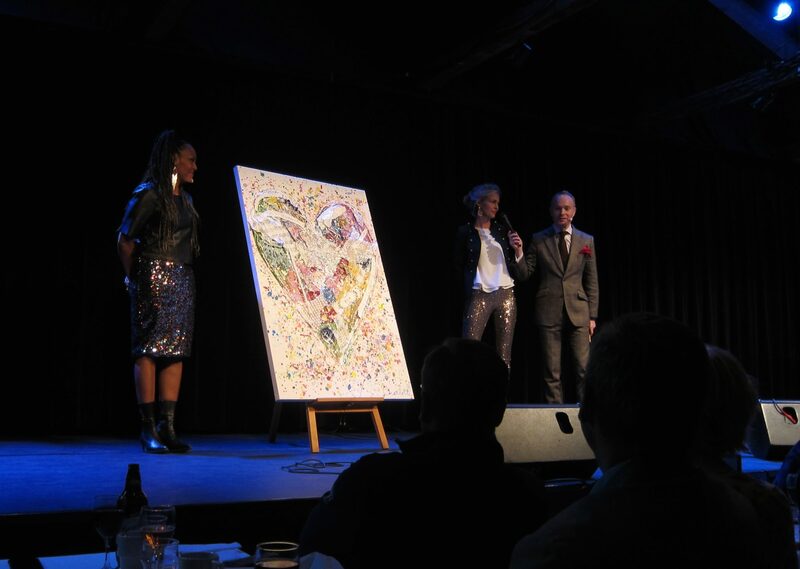 Happy in my soul after the auction 25/3 2015 where my painting “Of True Love” was sold for 90,000:- Money that will be put to good use at the Ronald McDonald Hus. My biggest thanks to all contributors! “Love conquers all” (91x60cm) This is the painting that I donated to Project Playground this year. It raised 80,000 SEK that will benefit this fantastic organization. I’m both happy and proud to have the opportunity to contribute to their important work! 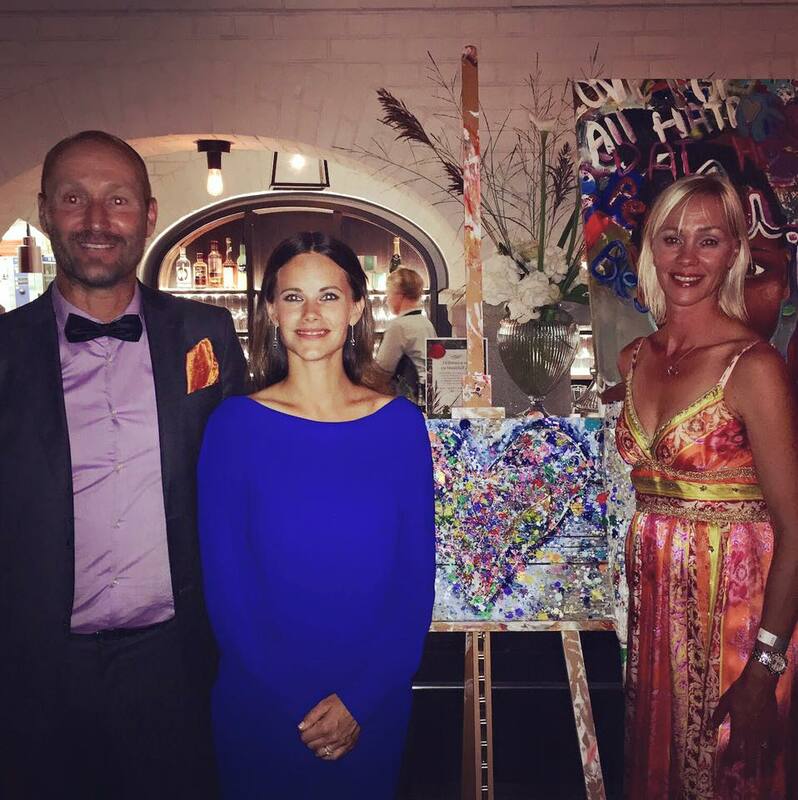 I can proudly announce that my painting “Peaceful Harmony” raised 30.000sek to Project Playground , amazing Agneta Sjödin was one of the bidders! 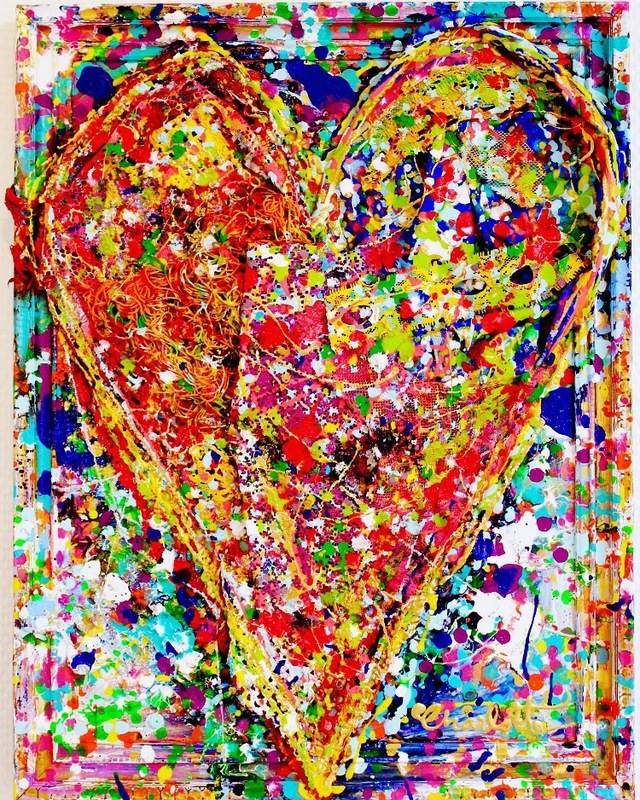 My painting ”Goodhearted” (45 x 35 cm) raised 11.000 SEK to benefit Goodhe-art-ed and Ung Cancer! Thank you for your amazing work! All the best!